It is with deep sadness that the Hamilton Tiger-Cats learned of the passing of Canadian Football League Hall of Famer and former Tiger-Cat legend Ellison Kelly. He was 80 years of age. Born on May 17, 1935 in Butler, Georgia, Ellison Lamar Kelly never missed a game in 13 seasons in the Canadian Football League. He suited up in 175 consecutive games with the Tiger-Cats (1960-70) and the Toronto Argonauts (1971-72), mostly at guard or tackle on the offensive line. When needed, the versatile performer also provided depth at the defensive end and linebacker positions. He won three Grey Cups with the Tiger-Cats in 1963, 1965 and 1967, and played in the 1971 Grey Cup with the Argonauts. Kelly and his family resided in Hamilton after his retirement. The 6-3, 250-pound offensive lineman out of Michigan State University was selected by the New York Giants in the fifth round, 59th overall, in the 1959 NFL Draft. He played one season for the Giants in 1959 before opting to play in the CFL in his second professional season in 1960. Kelly was inducted into the Canadian Football Hall of Fame in 1992. In 1998, the Tiger-Cats recognized the outstanding playing careers and service of Kelly and long-time friend and teammate Angelo Mosca. Both had their jersey numbers honoured in a banner-unveiling pregame ceremony at Ivor Wynne Stadium that season. 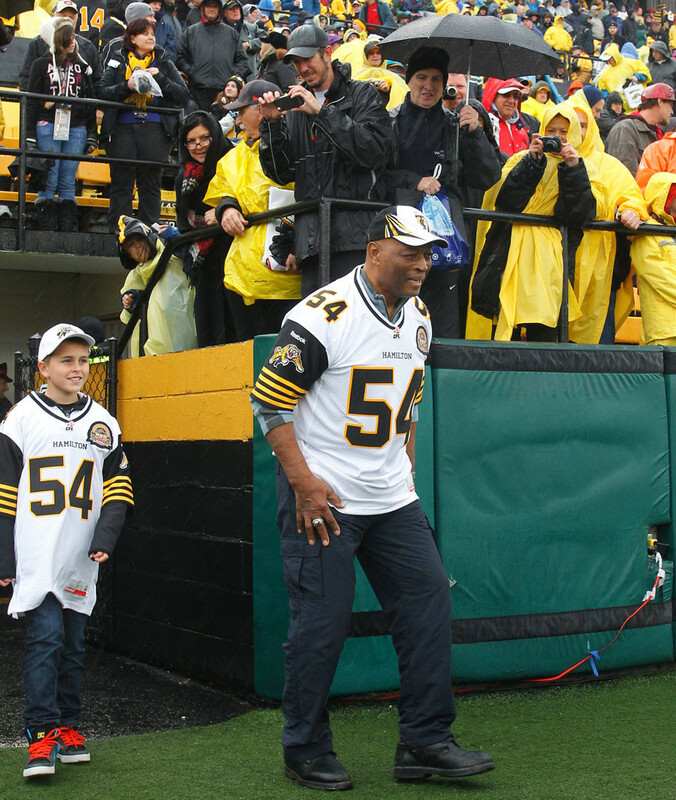 Kelly’s number 54 will forever be prominently displayed on the new Wall of Honour at Tim Hortons Field.